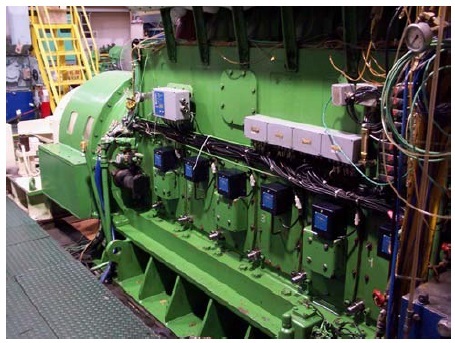 Detecting oil mist in engine room, diesel engine, purifier rooms and others marine equipment. 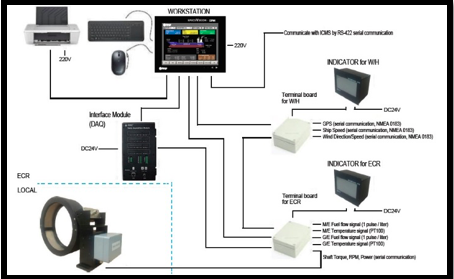 System simplification (SBC) for top reliability and highly integrated NFI & TI design. ME backplane technology adoption of fully integrated single main control unit (GUIM) with Top-down design methodology. To verify the functionality of the system. To verify the effectiveness of the oil mist detectors. To verify the accuracy of oil mist detectors. To verify the alarm set points. The source and alarm activation. To verify functional failure detection. 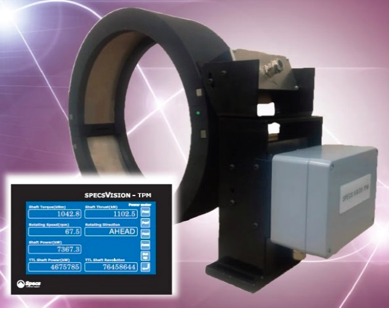 To verify the influence of optical obscuration on detection. 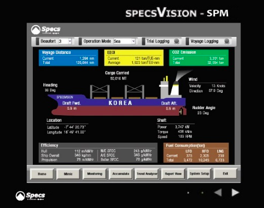 SPECVISION-SPM is most useful and practical tool for monitoring, reporting and verification of CO2 emissions and energy efficiency of all ships. It has following functions which can be adjusted based on the different ship types, sizes and operational profiles. Calculate and display EEOI & CO2 emission values as a valuable SEEMP mechanism based on IMO regulations. Display, print and store real-time measurements and performance data. Present trend graphs of the data for a variable period of time. Display actual operational values compared with reference values of ideal case. Easy maintenance by applying slot type card to DAQ. Enable users to store more than 150 different data. Enable engineers to make optimum plan for ship maintenance and/or renovation based on the stored performance data. Present daily voyage and sea trial reports. Transfer various data to the owner via ship’s network for fleet management. SPECS Shaft Torque Power RPM Meter is simple, but it can measure and display shaft torque, thrust, power, RPM, rotating direction, accumulated rotations which are transferred from the main engine to the propeller by adopting strain gage and proximity sensor technique. It is easy to install on all kind of vessels both new and existed. Both metric and SI are available. Easy to install by using simple bracket arrangement – no shaft modifications. Robust design for operation in particular environments. 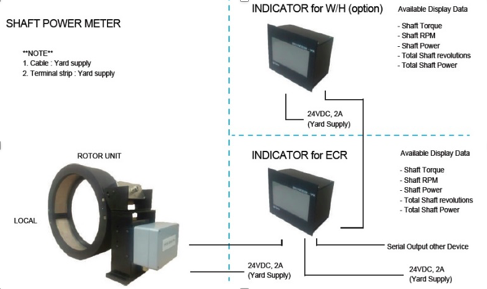 Various outputs available for all data logging requirements. Maximum shaft speed of 1500rpm for all shaft sizes. Not affected by any pollution or hazardous materials. Digital data transmission for clean reliable data. Simple calibration setup for increased accuracy of torque data. Large on-shaft tolerance makes it easy installation. Single or dual shaft applications. Maintenance free operation owing to no mechanical wear.